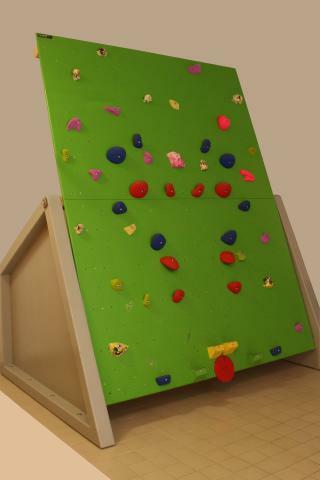 The mobile, free standing, tiltable climbing wall was developed together with physiotherapists and climbing instructors. Patents are pending. 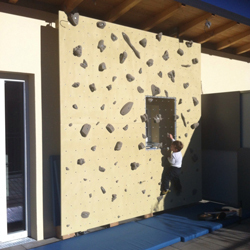 We build in&outdoor tilting walls and also classic fixed boulder and lead climbing walls. 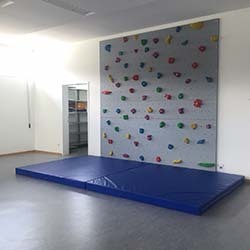 Holds, volumes, mattresses, individual training equipment like campus boards, campus ledges, chin-up bars, slacklines with quick&multi fix, etc. are planned respectively produced by us. The engineering, the metal and wood works, maintenance and inspection are done by ourselfs - we offer solid Austrian craftsman ship. We are proud about the quality of our products and grant 5 years of garantee. 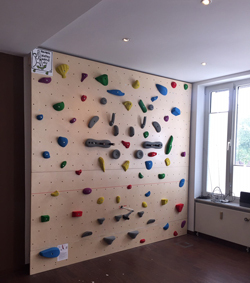 We just finished the installation of one of our adjustable boulderwalls. Vickie of ACE Hotel London gave us as this incredible opportunity in London - many thanks again!! Grace from Patternity created the unique layout. To get at least some color in it we tried it by ourselves...;-))). Check it out and do some work out! 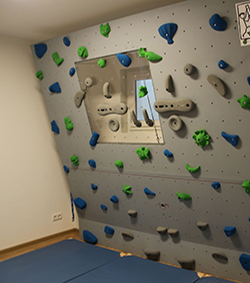 To comply with the changing requirements of the patients you can adjust the inclination of the wall with "a flick of the wrist". 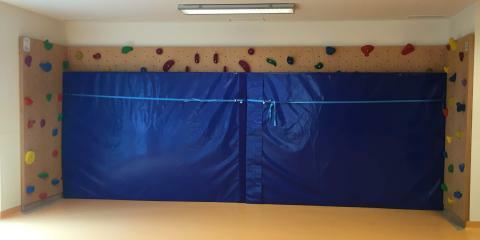 The wall is perfect for "Systemtraining" in professional climbing. 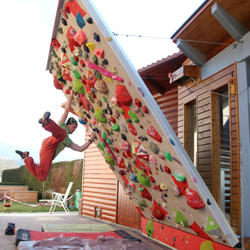 For a training sequence you can adjust the difficulty by setting the inclination quickly to the next angle. 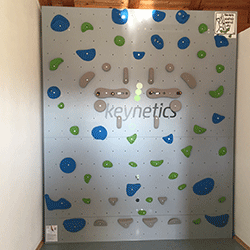 Additionally the structure is very stiff and vibration free - perfect for high level bouldering. 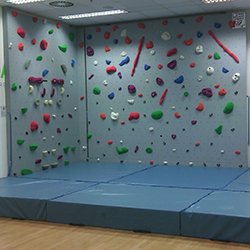 The wall can be lifted onto its rolls and be moved from the storage room into a gym and placed there free standing. 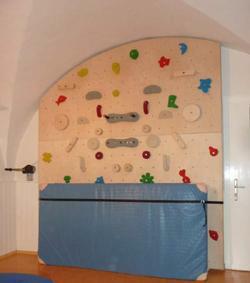 We offer also a version for mounting to the floor or the room wall or with a frame between ceiling and floor. 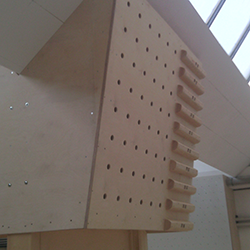 Free standing and mobile e.g. W3xH3m 5990€. 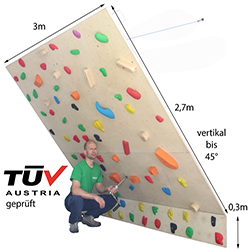 Version for fixed mounting 4990€. 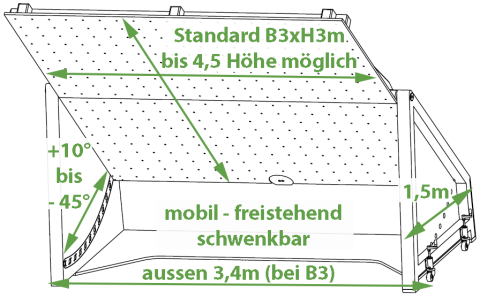 Here to the (still German ;-) ) detailed product folder. 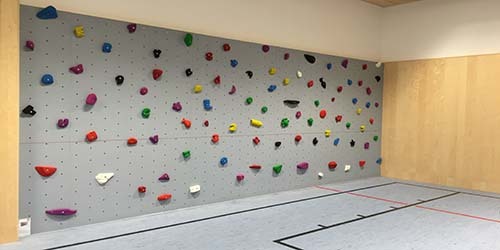 We plan, manufacture and install boulder and lead climbing walls with coating in wood and in GRP for indoor&outdoor. Here to the (German ;-) ) references file. 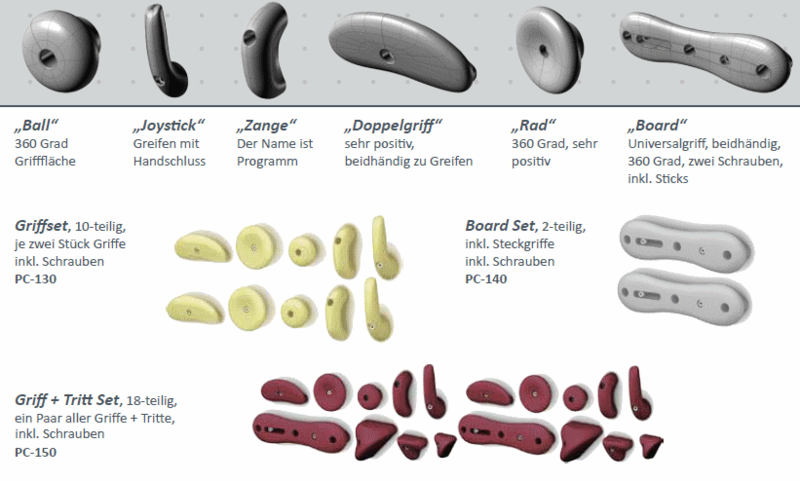 Holds and volumes from Usteto - biggest volume catalogue!! 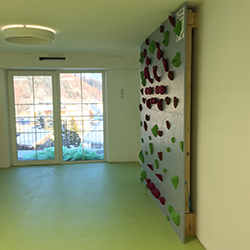 For Austria we deal with the products of our odl friends from Usteto - excellent craftsmen quality at a very competitive price! 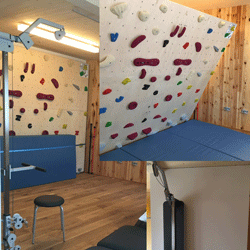 We sell together with our walls the system therapy holds of our friends from PhysioClimb. 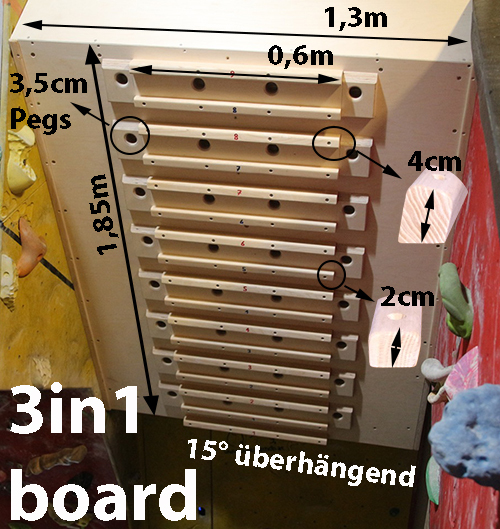 Here a 3in1 (2 ledge sizes+Pegs) in the city of Grein. Price incl. 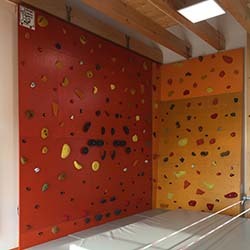 delivery and installation etc. beginning with 1490€. 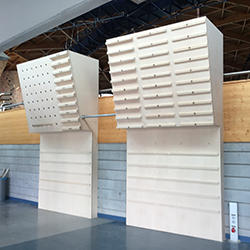 Our boards apply to the requirements of EN 12572-2:2008 and the national standard ÖN S4740. 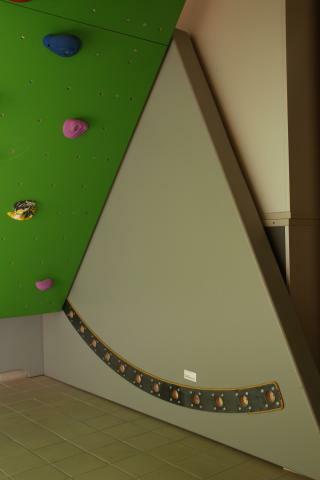 We have our own ledge forms, hughe sloper ledges - as well as half domes from 105 to 150mm dia. We can also produce according to your requirements. 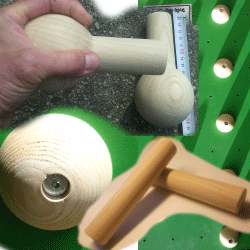 We prefer to use Austrian ash wood, untreated. Delivery worldwide, prices acc. to amount and effort. 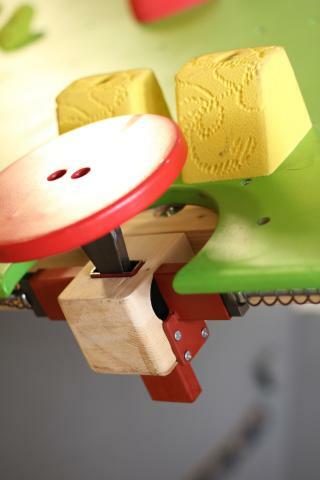 We empahsise that our products are hand made and have carpenter quality! 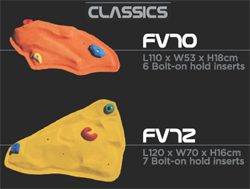 Our campus ledges - forms, variants and prices. 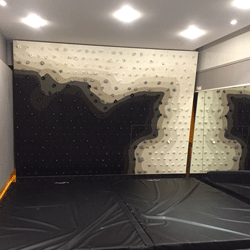 We provide advice for the selection, we plan the mattresses acc. the relevant standards. 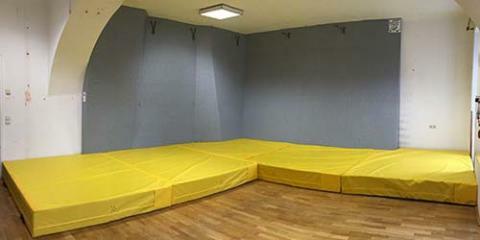 We also offer through going mattress surfaces. 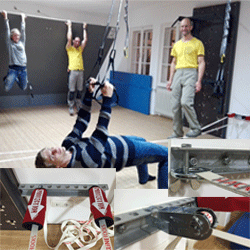 Chin up bars, training boards, slack lines with multi mounting devices, sling trainer with ceiling mounting elements, etc. 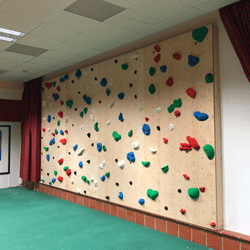 We plan, manufacture, deliver and install any kind of training equipment professionally. 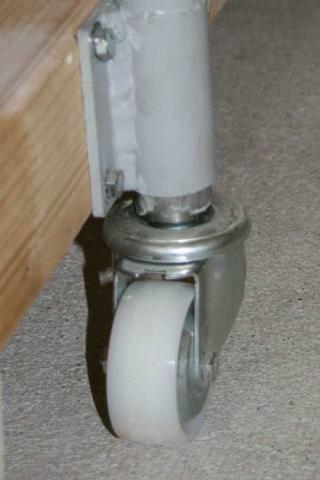 We provide static compliance, profession statements, etc. according to the relevant standards. 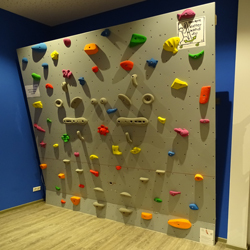 We build boulders and lead routes full heartedly and with brain - more than 30 years of climbing and training with kids, special background for therapeutical climbing as well as for system training guarantee cutting edge quality. 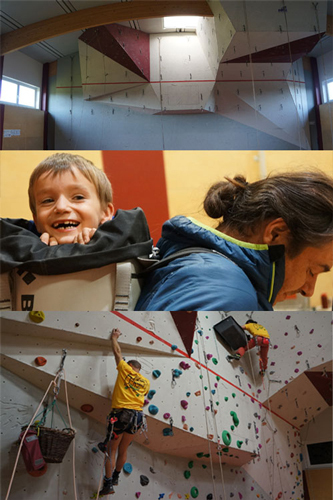 We put the same effort into our kids routes like into the 8b's on the competition wall! 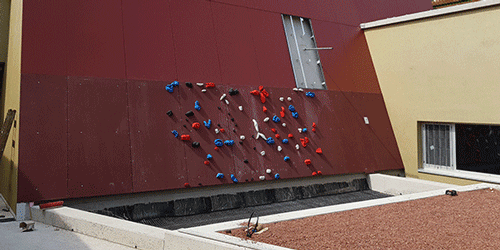 Engineering service from concept, 3d design, supporting call of bids, statics, ... finally to building supervision. 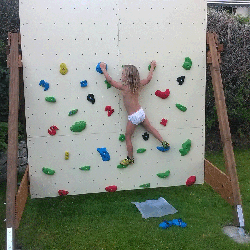 We inspect your climbing wall and make an offer for restoration. 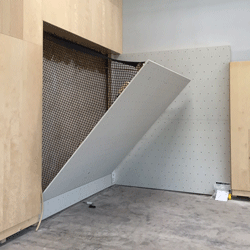 We improve or repair the structure for wood as well as for steel constructions. We do inspection and maintenance acc. 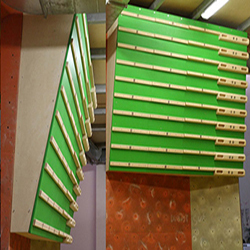 the ENs, we can do pull tests as well as analytic check of artifical climbing walls and certify your walls acc. EN12572-1 and 2. All stated prices are excl. 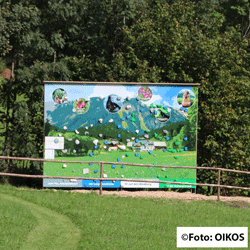 the Austrian VAT of 20%. 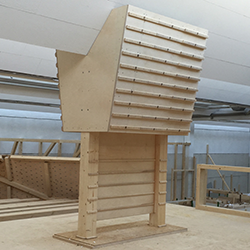 Mario Hartmann is our carpenter and responsible for the wood construction. 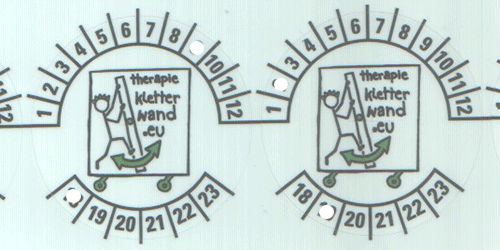 Robert Roithinger is doing the mechanical engineering and is responsible for the metal works. 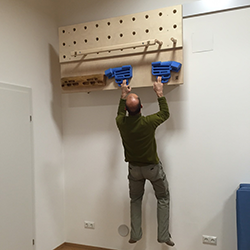 Jürgen Pöchlauer-Schneck is our physio therapist and responsible for therapeutic climbing. 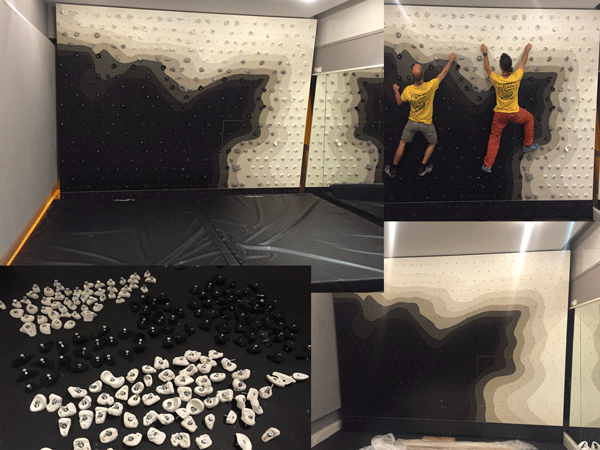 We are all passionate climbers and try to constantly improve our products for you (as long as we are not out climbing...)! Here our company philosophy (again in German language...;-)). For consultancy, discussions or an offer without obligation - do not hesitate to contact me!